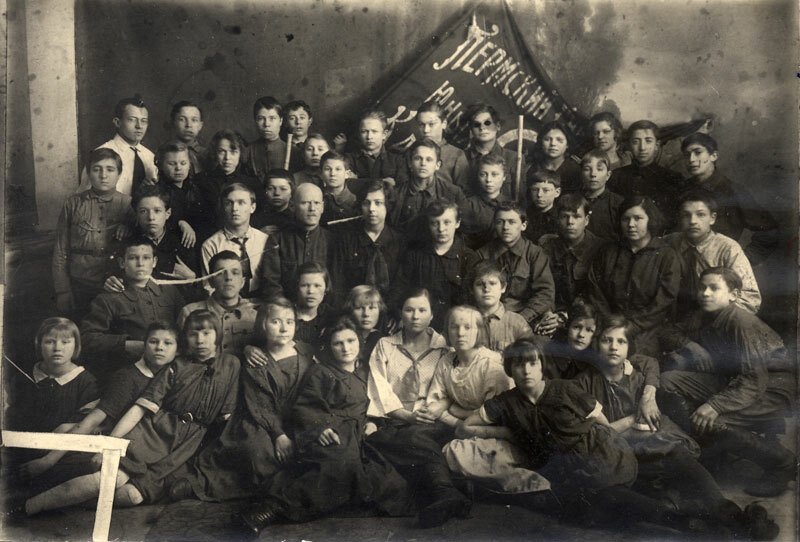 On 19 May 1922, All-Union Pioneer Organization was founded. 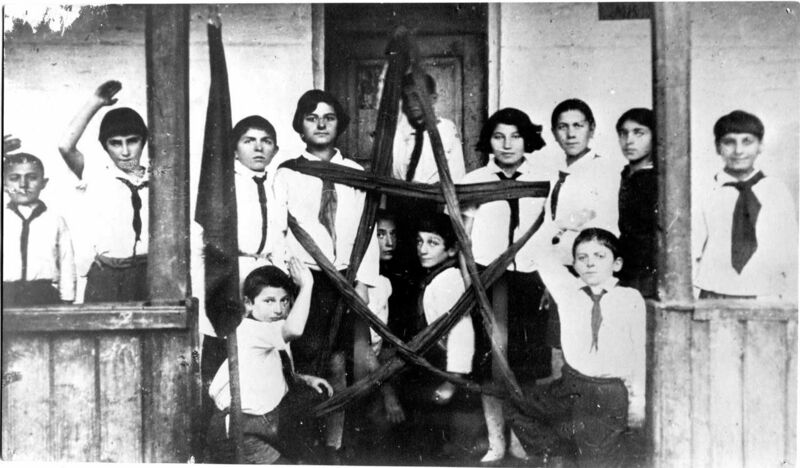 The origin of the Pioneer movement comes from Scouting. 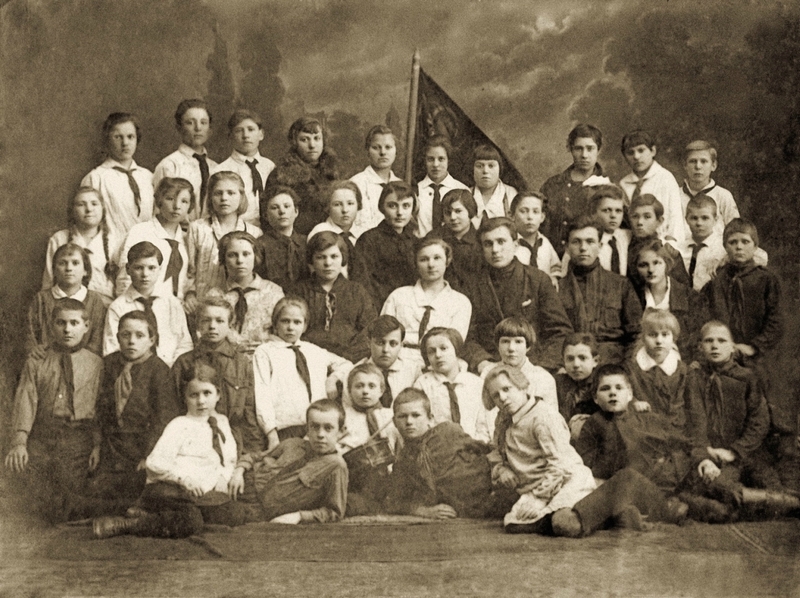 In 1917, there was a relatively extensive network of children’s scout organizations in the USSR; which included about 50 thousand Scouts. 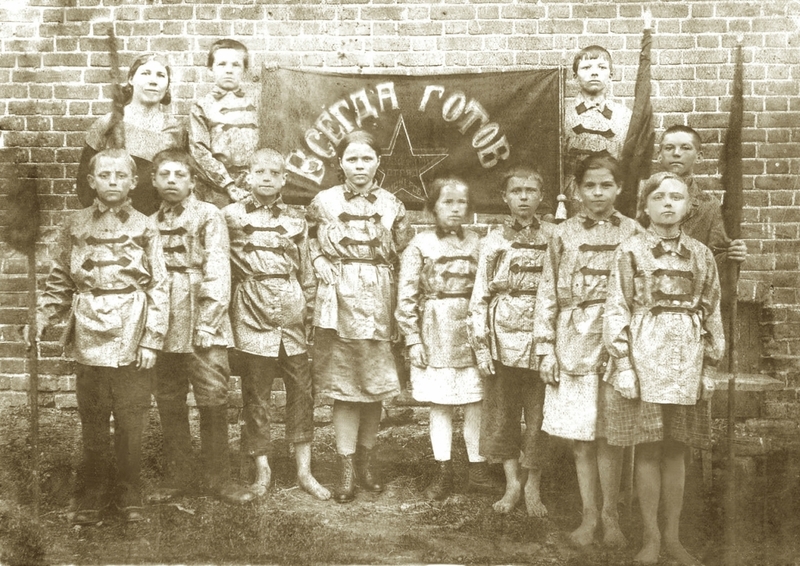 In the midst of the Russian Civil War scouts were seeking and helping street children. 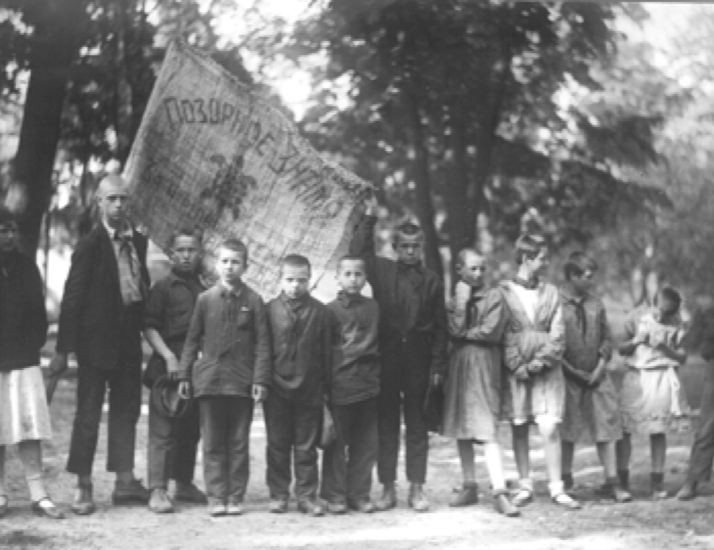 They organized children’s groups, children militia and social assistance. 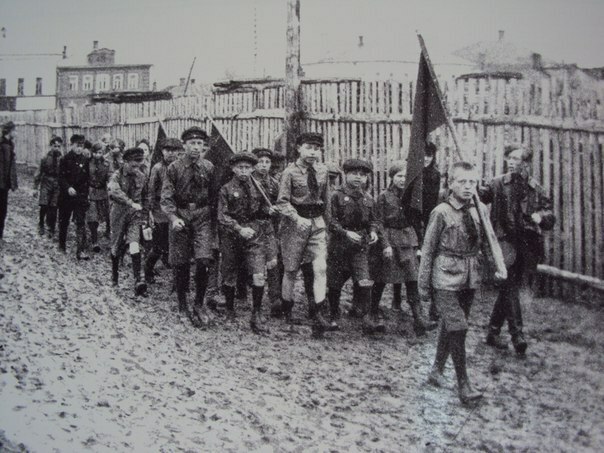 However, at the Congress of Komsomol in 1919, it was decided to disband the scout squads, because many scouts did not want to accept the new Soviet system. 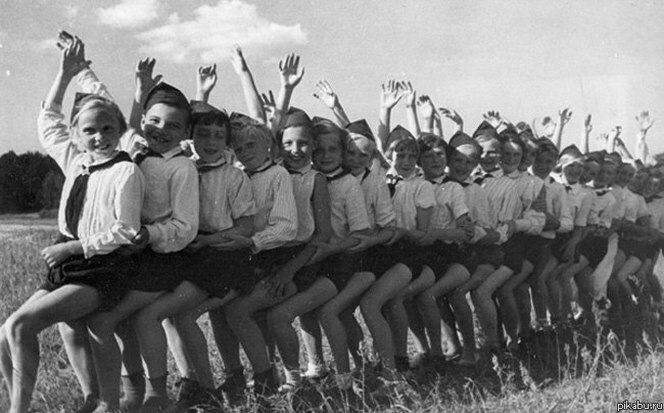 At the same time, in communist circles there was the need to create their own, communist organization to work with children. 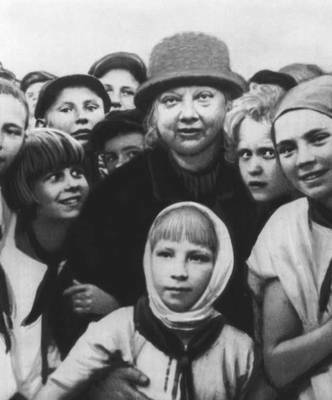 The idea was formulated by Nadezhda Krupskaya, Lenin‘s wife. 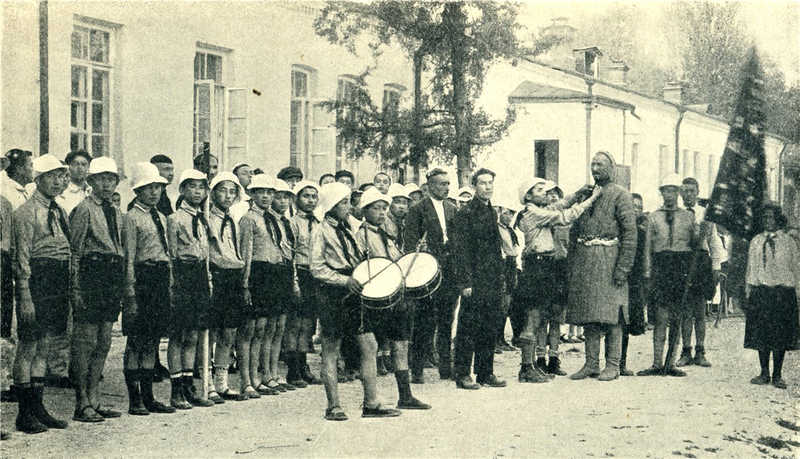 Remaining scout leaders supported the Komsomol and the Red Army. They introduced the name “pioneer”. 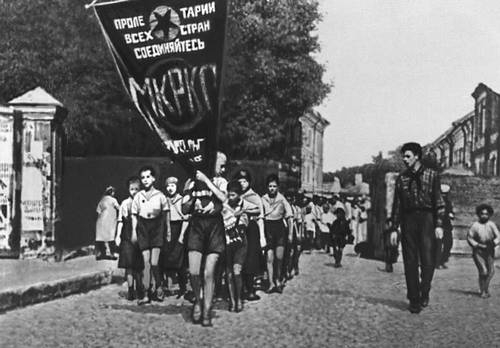 Also, they convinced the Komsomol to keep the scout motto “Be prepared!” and adapt it to “Always prepared!” as the organizational motto and slogan. By the middle of 1923 the All-Union Pioneer Organization had 75,000 members. Among other activities, Young Pioneers helped leadership at all levels and played a great role in the eradication of illiteracy. Many Young Pioneer Palaces were built, which served as community centers for the children, with rooms dedicated to various clubs, such as crafts or sports. 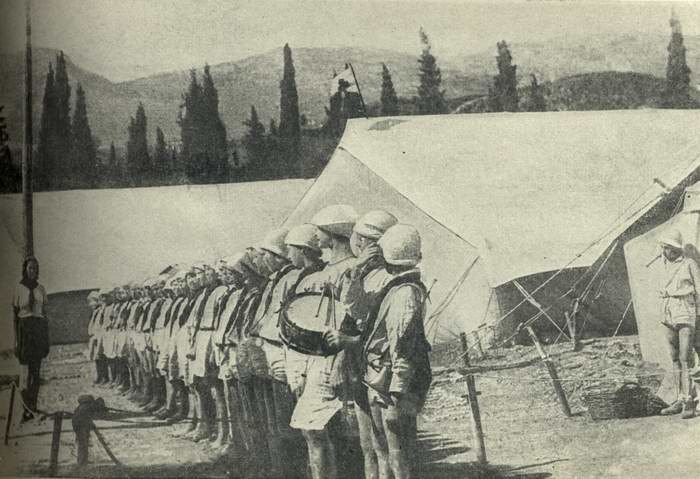 Thousands of Young Pioneer camps were set up where children went during summer vacation and winter holidays. All of them were free of charge, sponsored by the government. 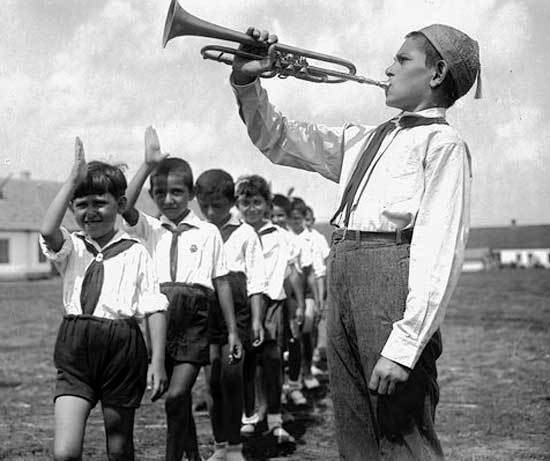 During the Great Patriotic War (World War II) the Pioneers worked hard to contribute to the war effort at all costs. 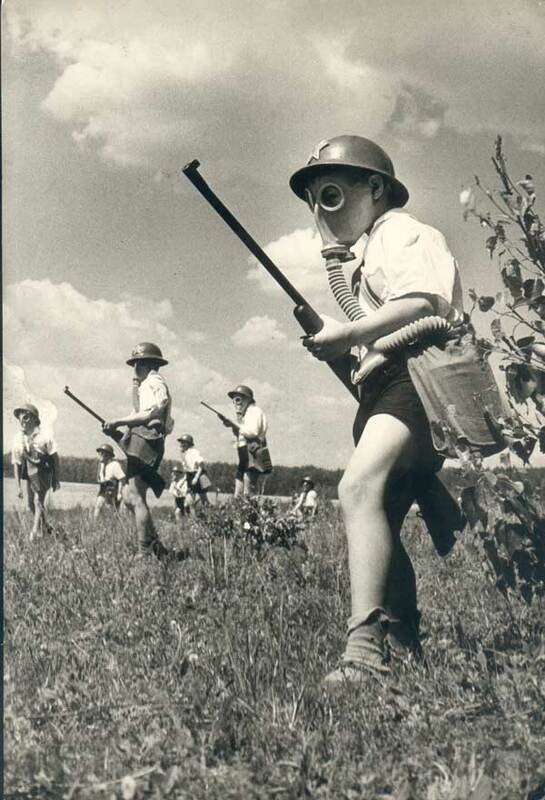 Thousands of them died in battles as military personnel and in the resistance against Nazi Germany in its occupied territories as partisans and Pioneers under secrecy in enemy-occupied towns and cities, even in concentration camps. Some of them became widely known, for their resistance: Volodia Dubinin, Pavlik Morozov and others. Four Pioneers would later receive the coveted Gold Star Medal as Heroes of the Soviet Union, and countless others were awarded various state orders, decorations and medals for acts of bravery and courage in the battlefield, on enemy lines and occupied territories. 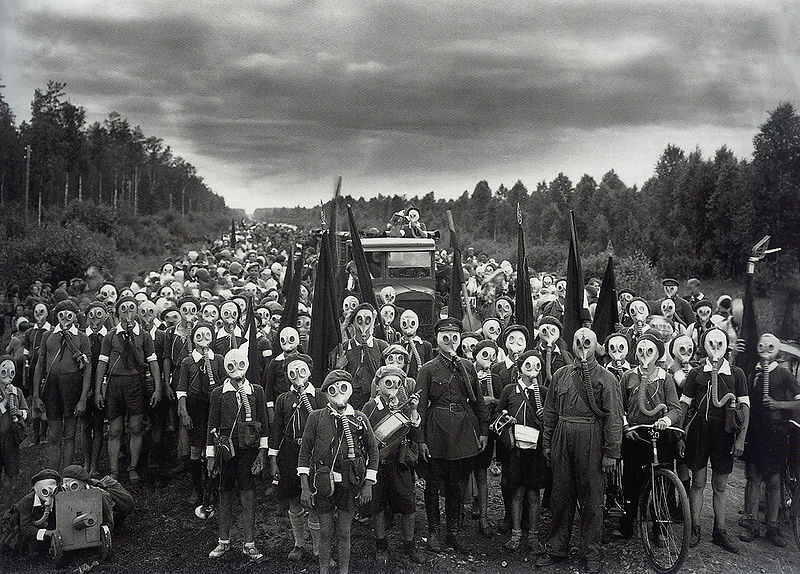 After the ban of the Communist Party of the Soviet Union in 1991, the organization had to disband. 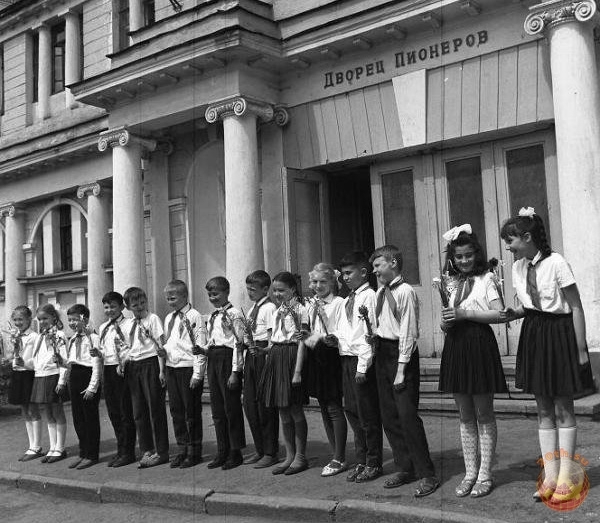 In the countries of the former Soviet Union society advocates the restoration of the Pioneers movement at the State level. In particular Belarus, as well as North Korea, are only Republics where the restored Pioneer Organizations are located and active. 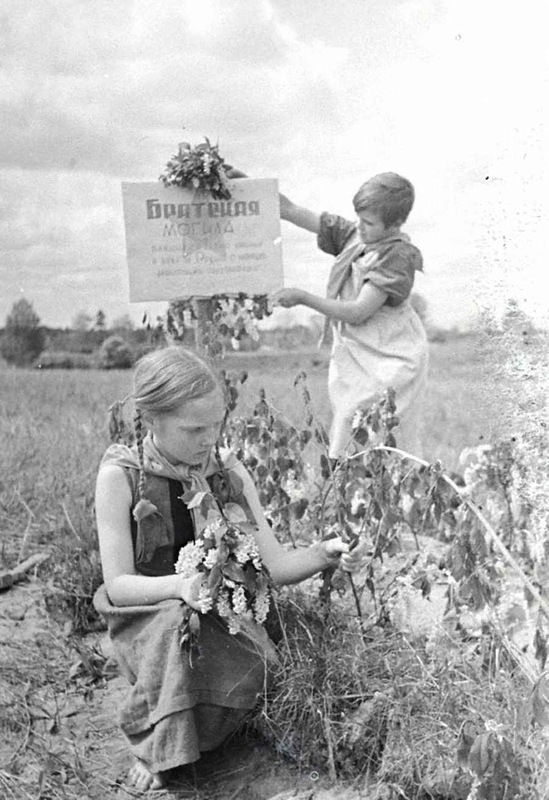 Pioneers Kostrova Tanya and Manya Mikheyev taking care of the mass grave in the village liberated from the Nazis in 1942.